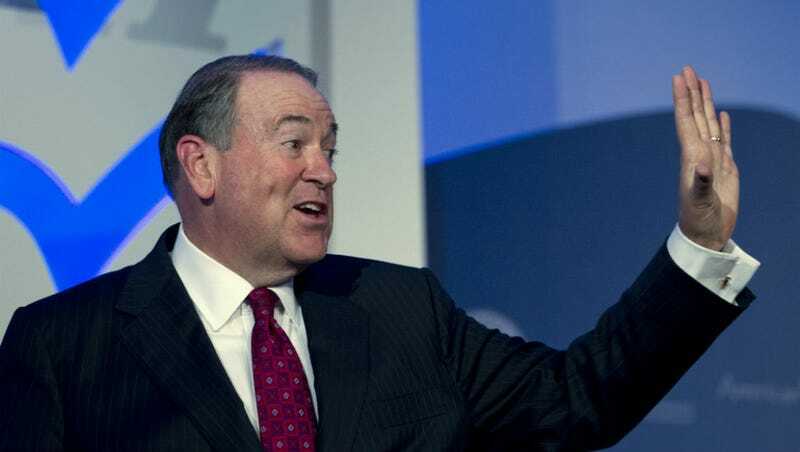 Former Arkansas Governor and current contender for grouchiest Cabbage Patch Doll Mike Huckabee spent last night’s Democratic debate on a tear, tweeting rather unreservedly about the issues. It was eye-opening, at least for anyone not already aware of his penchant for terrible metaphors. And Asians... eat dog meat. We guess. Is the crux of this. North Korea isn’t particularly known for that, but close enough, right? Who needs a grasp on which country does what, anyway? Certainly not the guy running for president. Huckabee followed that up, and obliquely responded to the criticism the tweet received, by claiming he was merely talking about his hatred for dictatorships. You know, if anyone should stay away from talking about dogs publicly, it’s the Huckabee family.